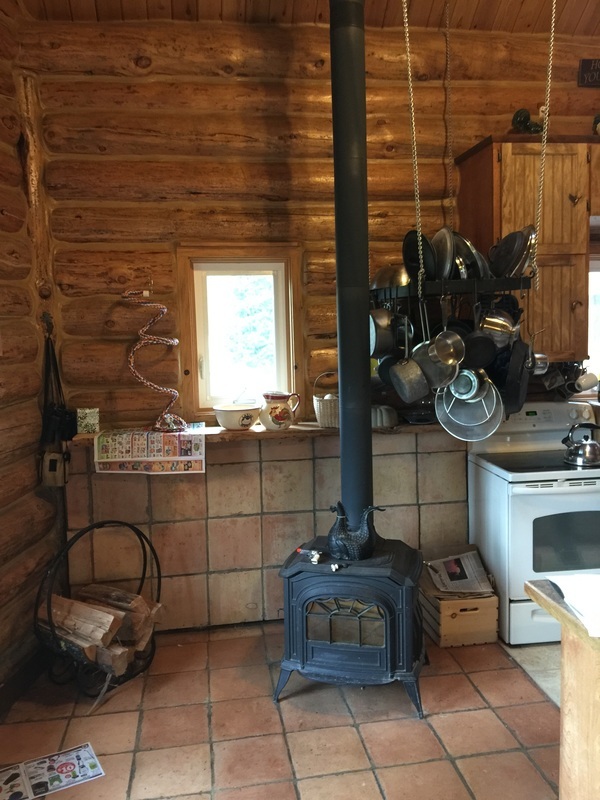 After 25 plus years of burning wood, our client, in Parkdale, Oregon, had us swap out the Jotul Black Bear wood stove for a new Jotul GF 600 gas stove. 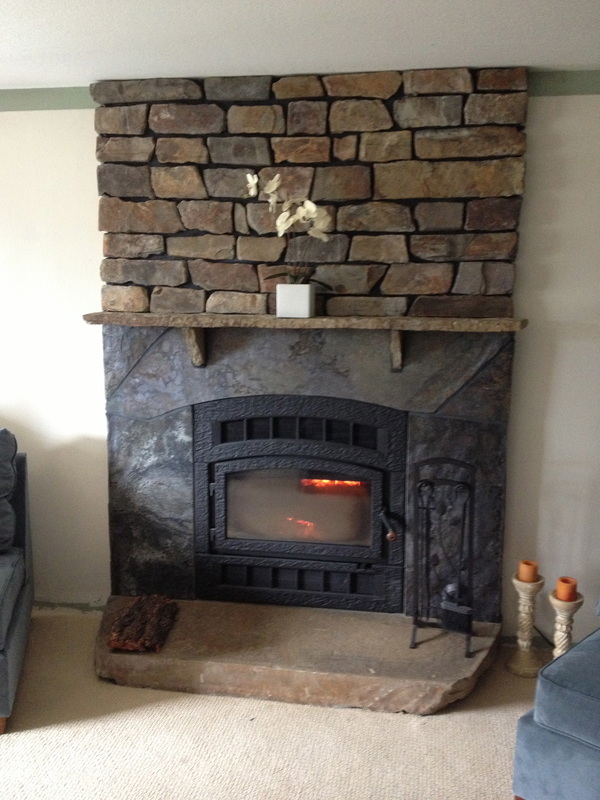 Another local contractor installed new stone veneer before we set the gas stove in place. 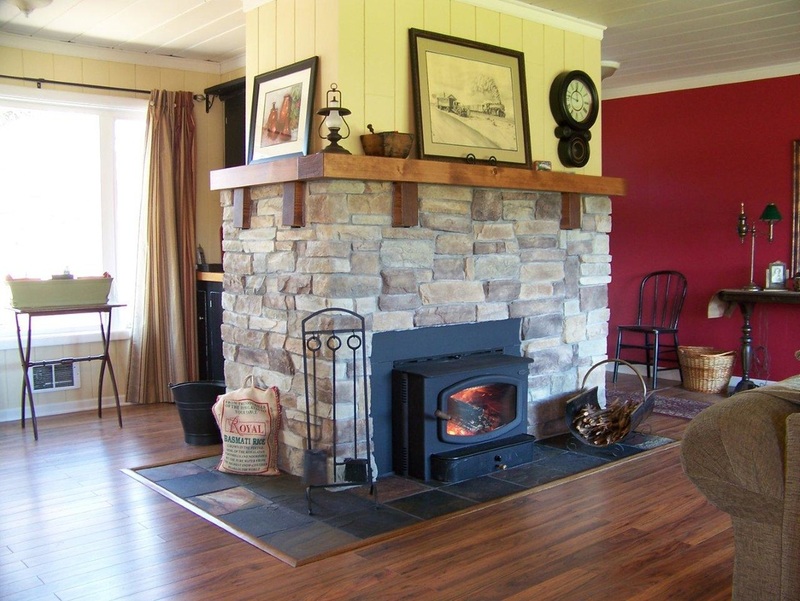 Quit the difference a little stone and a new gas stove will make in one's home. After purchasing this home in The Dalles, Oregon, our client wanted to improve the efficiency of their existing masonry Swedish fireplace. Since an insert is the best option for this scenario, we looked for a 2-sided gas insert. None are to be found because there is not enough demand for manufacturers to make them. So we opted for a single sided insert from Regency. We custom fabricated a side panel on-site to fill in the side opening of masonry fireplace. The new Regency gas insert will heat up 1,500 sqf and is a beautiful addition to our client's family room. 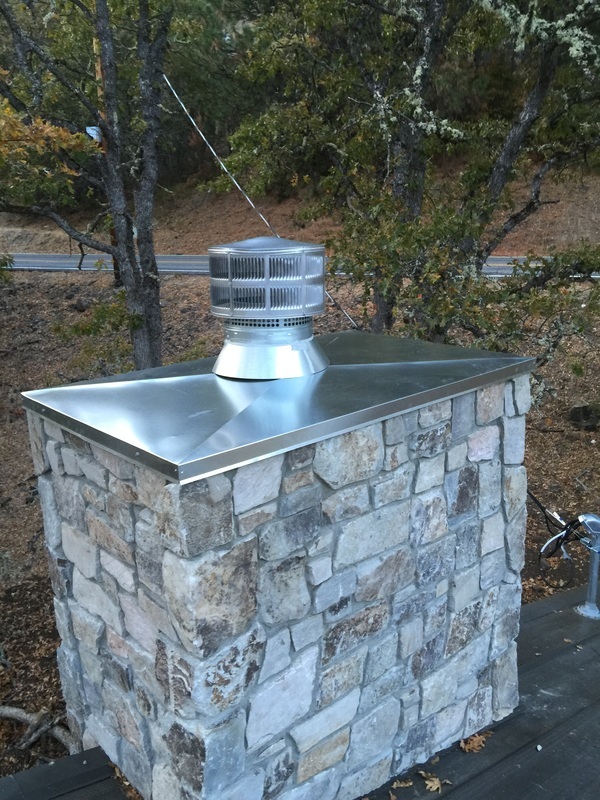 Our client in White Salmon, Wa wanted to do away with her existing vent-free gas stove. They had another local contractor remove the bookcases and old brick hearth. The same contractor installed new tile for the hearth. We re-routed the gas line and installed the new direct vent chimney out the wall with a new Jotul GF 300 gas stove. Now the client can adjust the temperature, flame height, accent light and blower speed all from their new remote control. 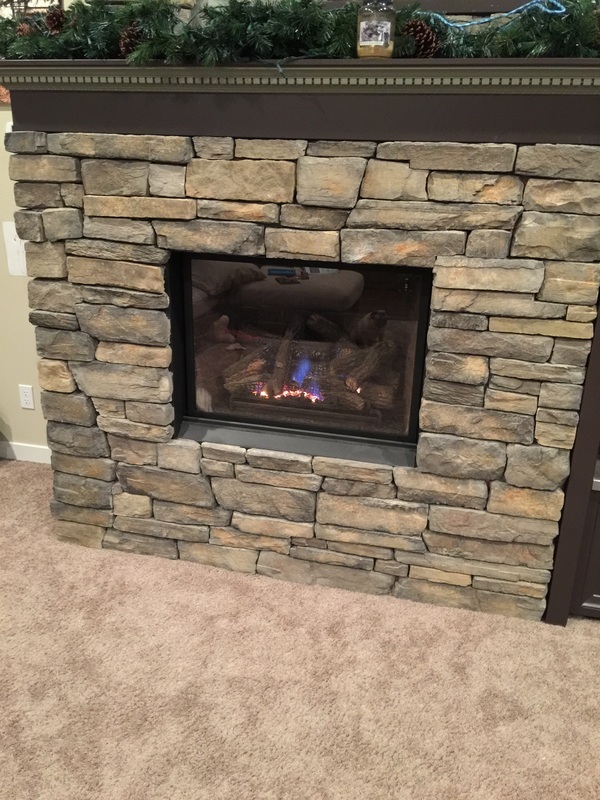 Our client in Parkdale, Oregon was remolding their den/office space in their home and wanted to up date their old masonry fireplace and gas insert. We installed real stone veneer from hearth the ceiling over the existing brick. We installed the stone up to the new HeatnGlo gas insert we installed. 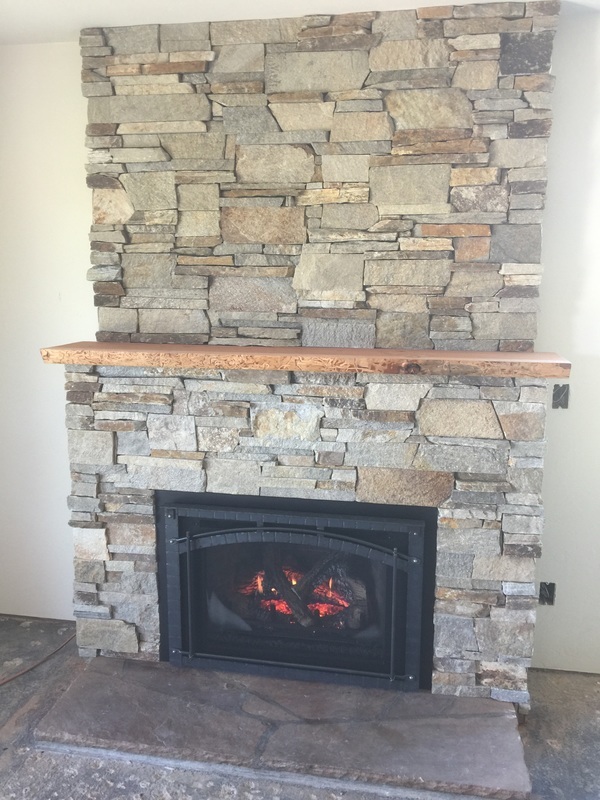 The client provided their own mantle the was installed as the stone was going up. 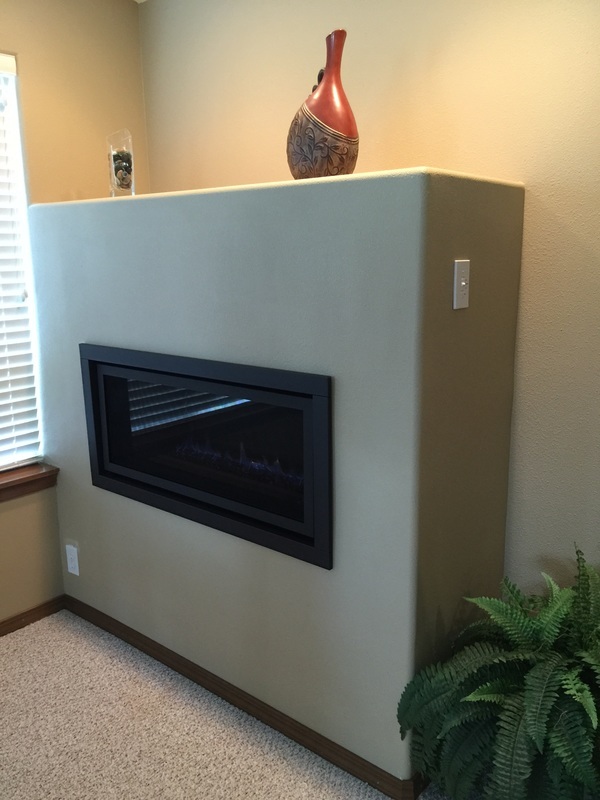 Clients from The Dalles, Oregon approached us in hopes of installing a new gas insert in their existing masonry fireplace. The biggest challenge were the large, uneven rocks that were used in the facade of the masonry fireplace. There would have been large gaping holes behind the insert's faceplate had we not taken a grinder to the rocks first. After putting up plastic around the fireplace, we went to town and made a LOT of dust carving out the rocks. In the end the faceplate, on the new Regency LRI6E gas insert, fit up against the rocks like a glove. 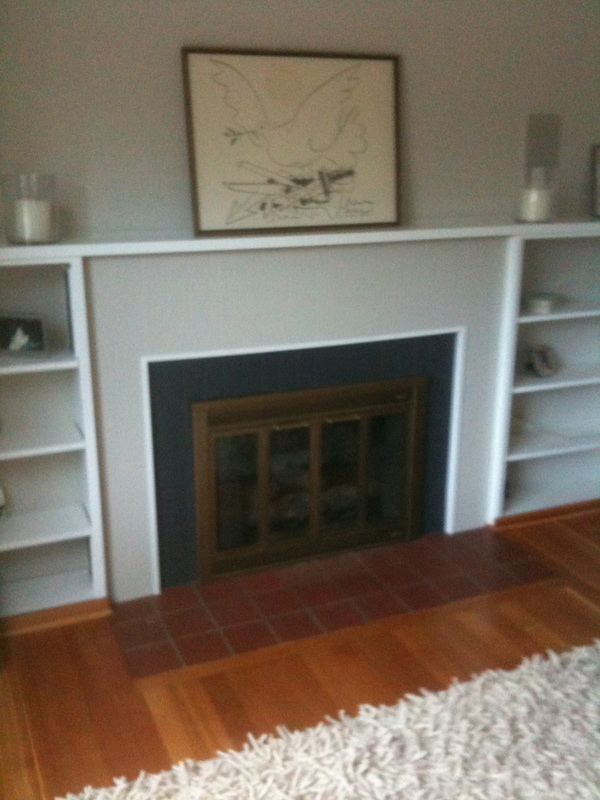 Our client in Hood River, Oregon wanted to update their existing wood burning fireplace. The wanted a new Regency HRI6E gas insert, but the wood facing around the fireplace opening was to close. Our solution was to custom create two separate concrete pieces about 3/4 of an inch thick, and put in place of the existing tile hearth and wood facing material. The end result was a stunning difference that made the homeowner extremely happy. 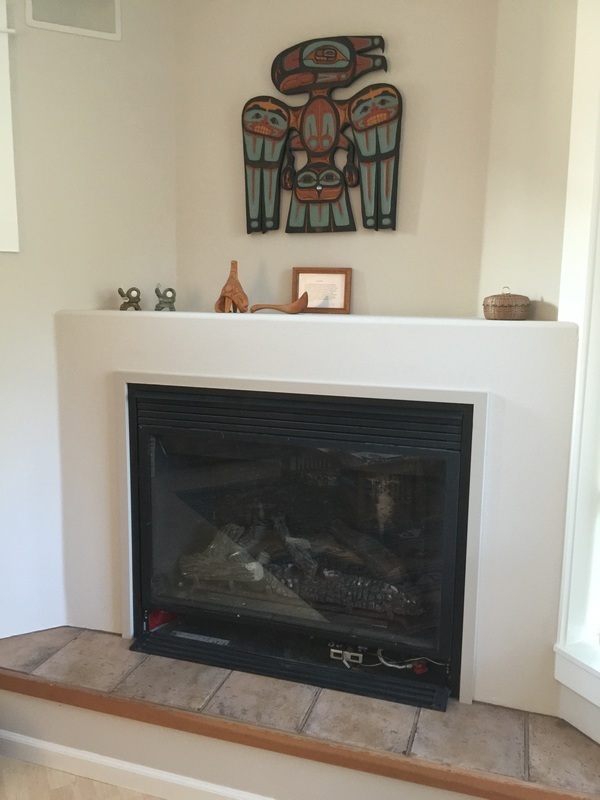 After purchasing a new home on the outskirts of White Salmon, Washington, our client wanted to update their 1970's fireplace. 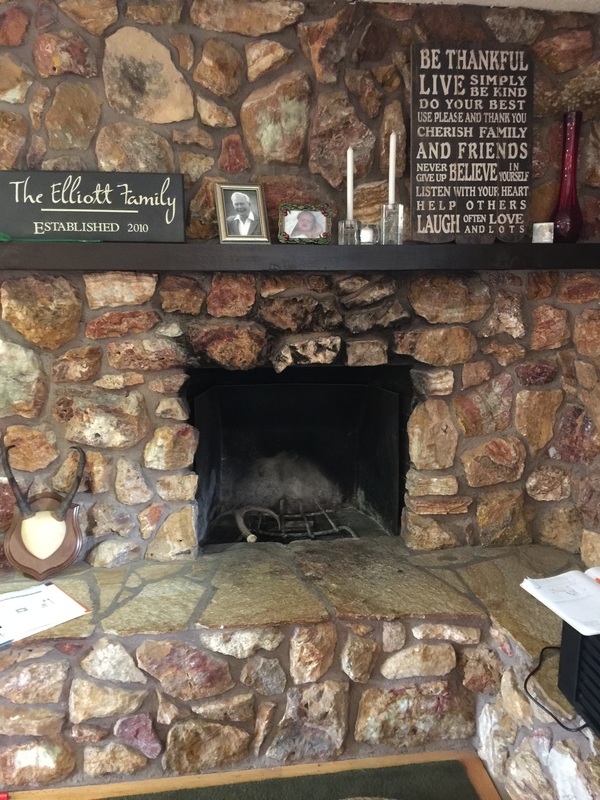 The client tore down the ugly rock facing and we started the process of re-facing the fireplace. 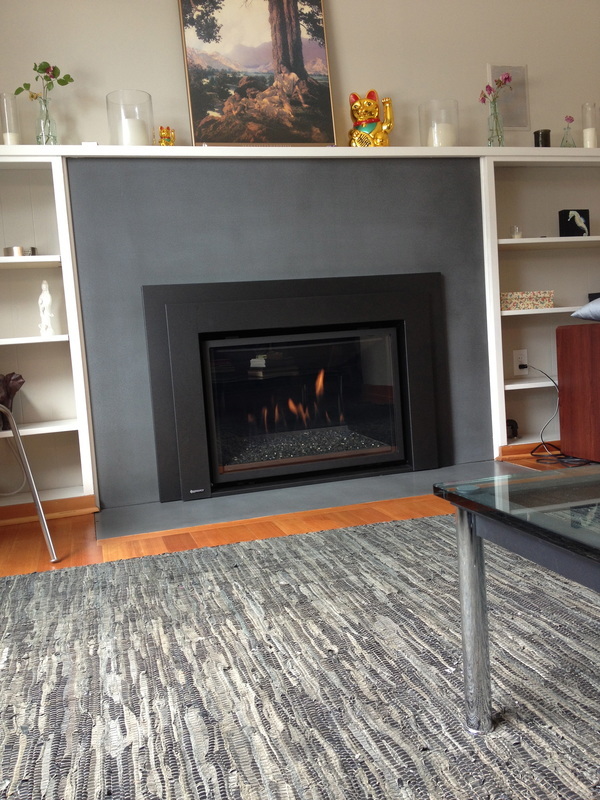 We supplied and installed a new gas insert at the same time as well as a custom designed concrete hearth for seating. American Clay was applied on front and side facing. 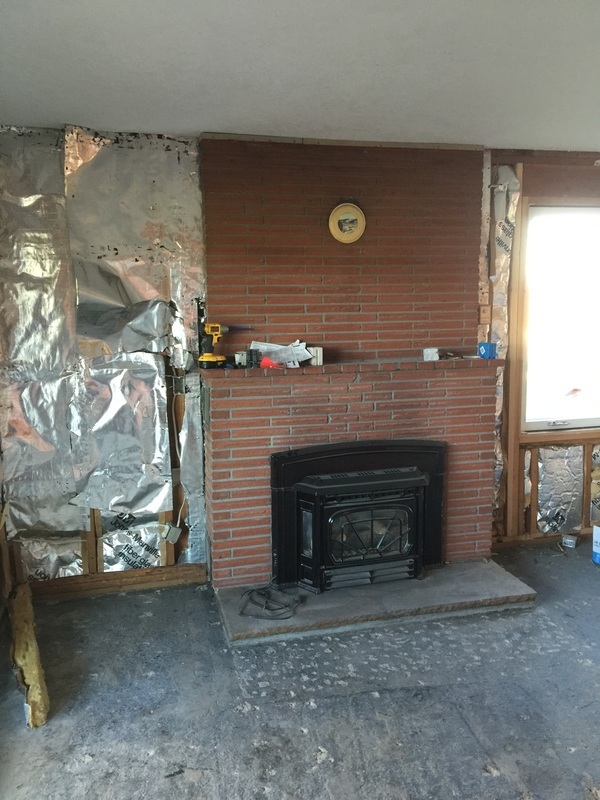 Our client in White Salmon, Washington, had a very inefficient masonry fireplace with a metal front on it. They also wanted to find someone to put new tile down for the hearth and a stone veneer on the face. We offered the complete package of A to Z for the client. After installing new slate tile, we installed the new wood insert along with Eldorado stone. Next came the new mantle and corbels. 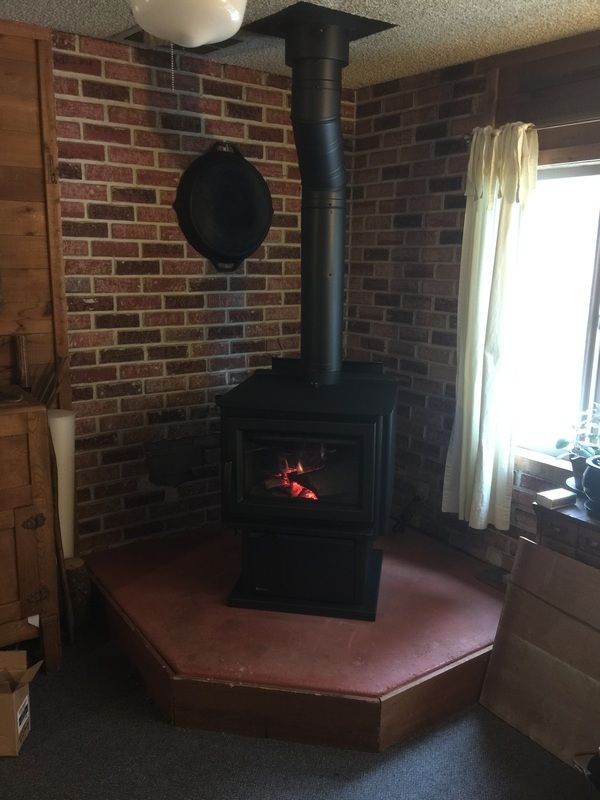 The new wood insert was able to heat the entire house and the client uses a lot less wood. 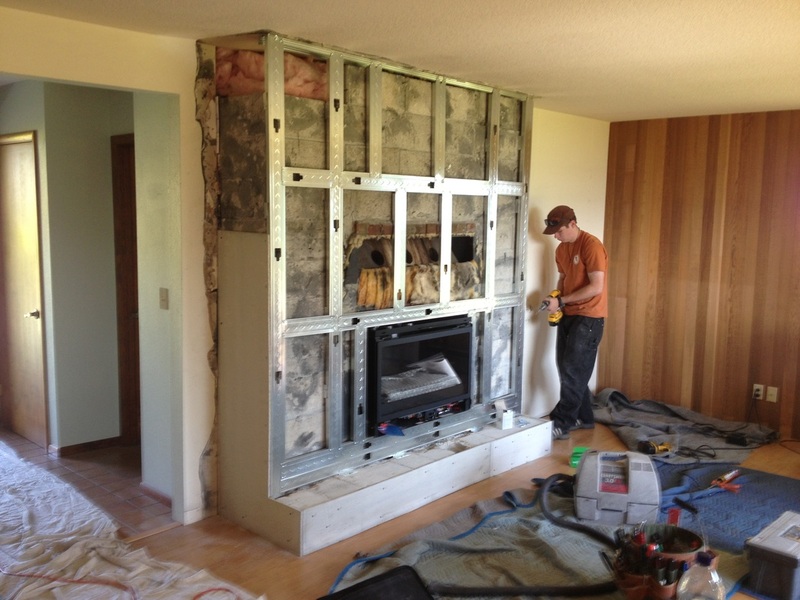 Our client in Hood River, Oregon, needed to replace their old, unsafe gas fireplace. We found the fireplace that would vent through their existing hole on the exterior wall where the old fireplace had vented out. We searched high and low for the faceplate that had an arch that the client wanted. A local contractor installed the new tile hearth, mantle, and tile facing. The client can now operate the blower, flame height, and temperature through the use of their remote control. 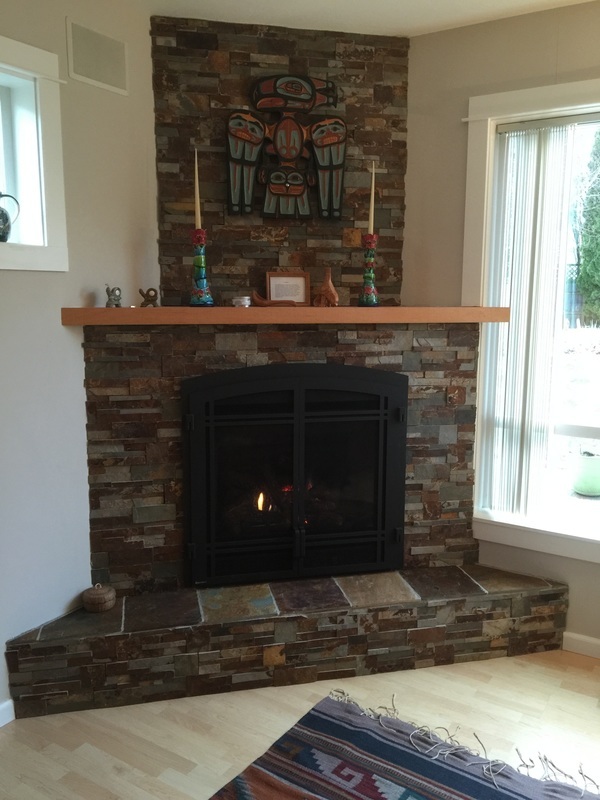 Our client in Dallesport, Washington wanted to put a wood Zero Clearance Wood Fireplace in her home. 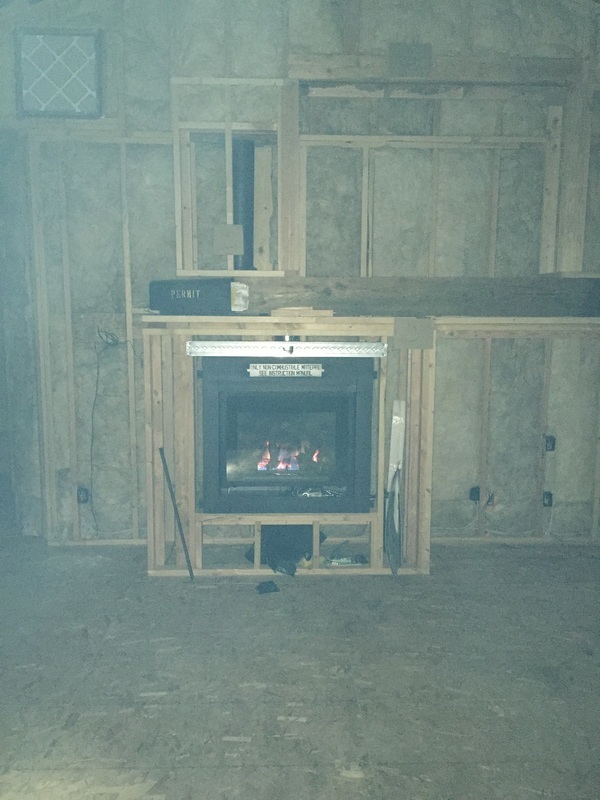 The builder, years ago, had never put a fireplace in. The client wanted to have the fireplace flush with the wall in the family room which meant the majority of the fireplace had to sit in the garage. 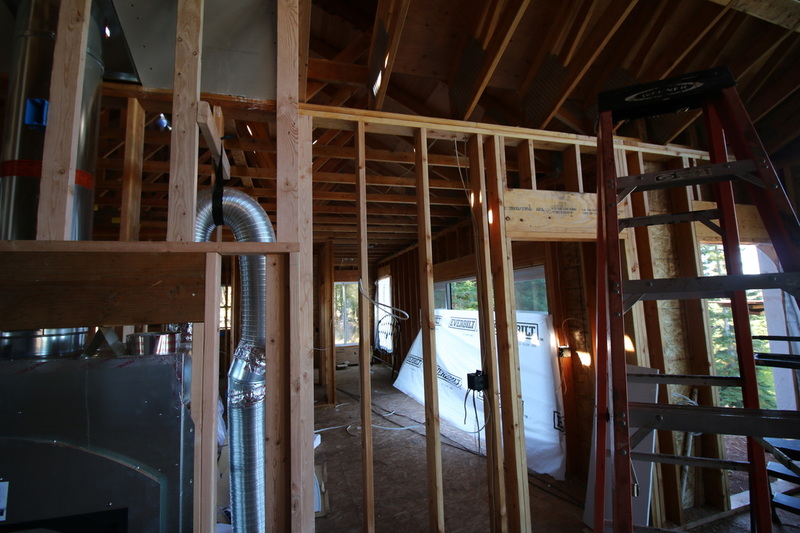 After the client poured a little concrete pad on the garage floor, we installed framing, insulation, and drywall to create what we call a "dog house" in which the fireplace recessed back into. The client then installed the hearth, rock facing and mantle to make one amazing wood fireplace feature in their family room. Custom design home in White Salmon, Washington. The Regency Bellavista B36XTCE is a clean face zero clearance fireplace and offers very clean lines and puts your focus on the dancing flame. 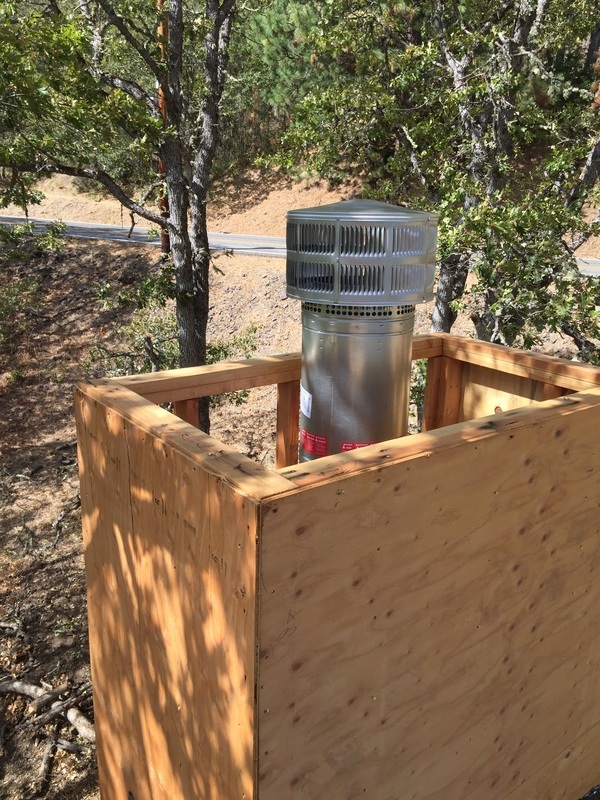 This units can heat up to 1,500 sqf of home. 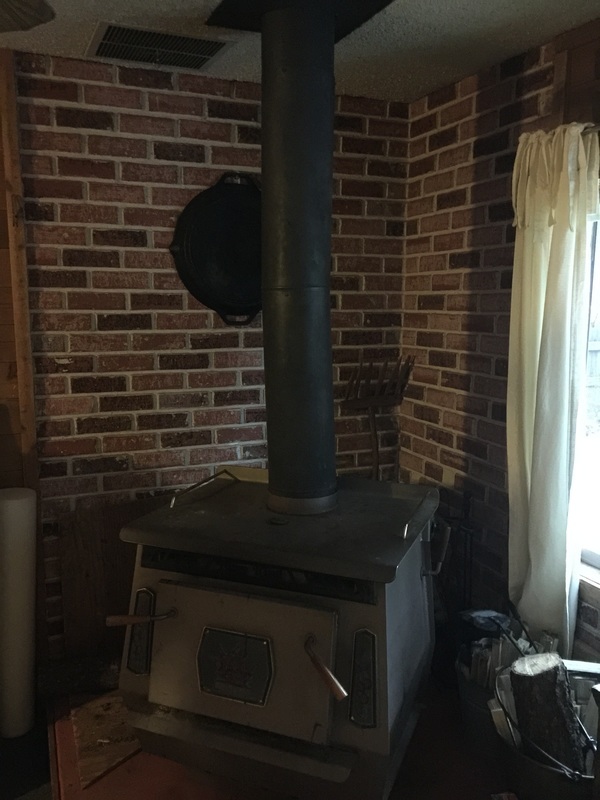 Clients in Troutlake, Washington wanted to update their old wood stove that they had had for over 20 plus years. We replaced the interior single wall venting with double, which improved the draft by keeping the flue temperature higher as it exited the chimney. This beautiful soapstone stove heats the house better at a more even heat. 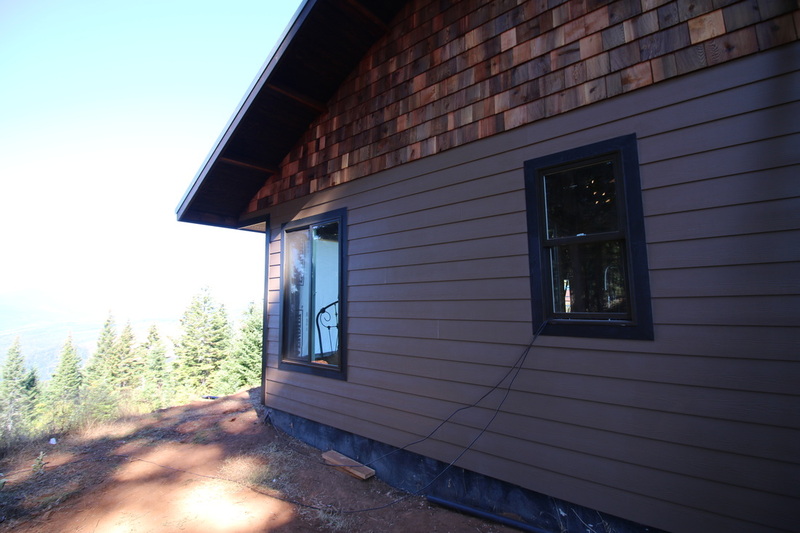 Our client in Snowden, WA was putting an addition on their home. 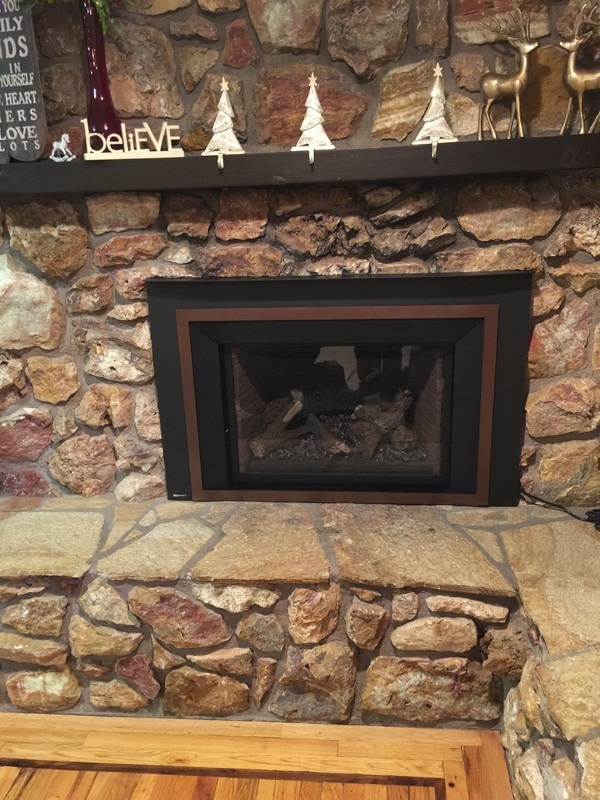 Along with a wood fireplace, the client wanted backup heat and AC in the new square footage of their home. 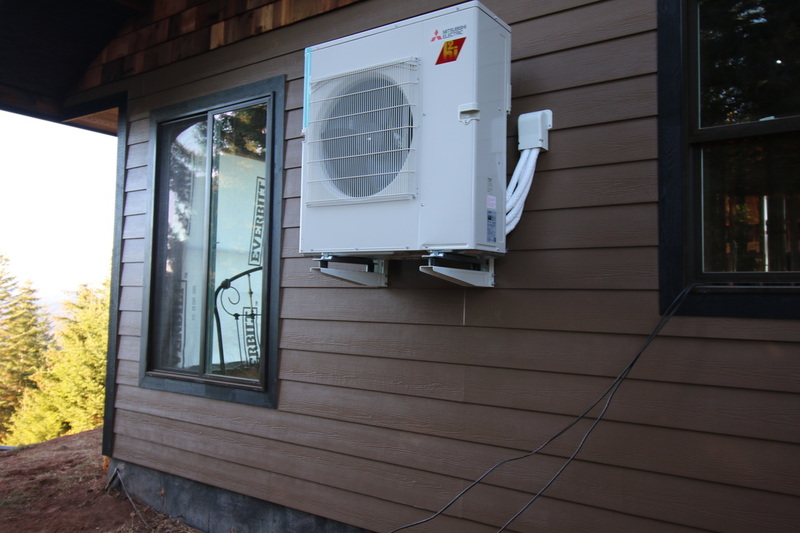 Because of high snow fall, it was decided that having the exterior unit mounted to the wall would lead to zero hassle in keeping the snow clear. Two individual interior head units control the temperature in the great room and master bedroom separately. The client chose the Hyper Heat unit by Mitsubishi which can put heat into the home when it's down to minus 5 degrees! 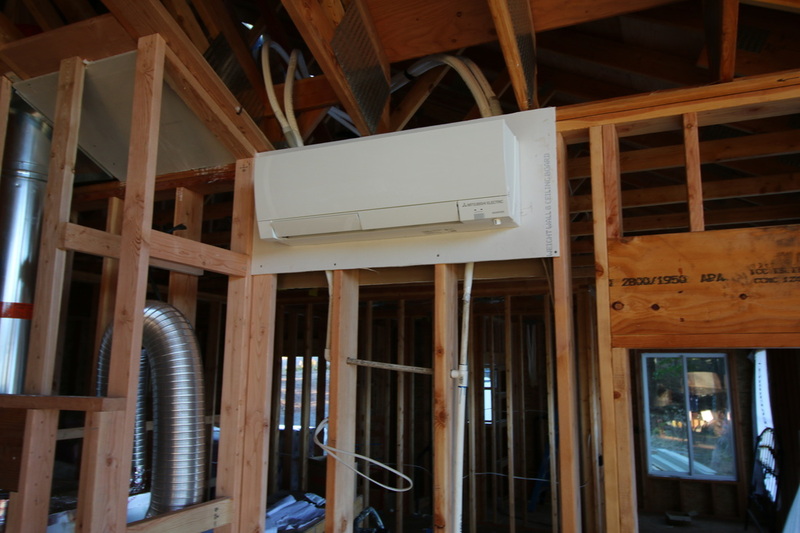 These are extremely efficient units and more and more homeowners are discovering the benefits of having a mini-split in their home. Located in Hood River, OR. 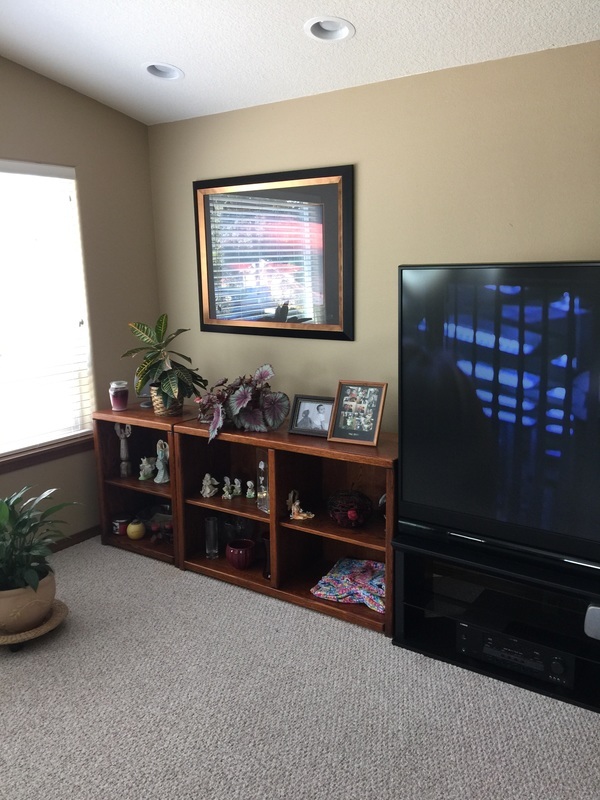 Our client wanted to add a fireplace on this tv wall. There were already two can lights in the ceiling that the client wanted the fireplace centered on. The unique challenge in this install was the window being so close to the inside corner of that room. Regency's HZ40E linear fireplace fit perfectly because of how shallow it is. This unit was venting straight out the back wall. 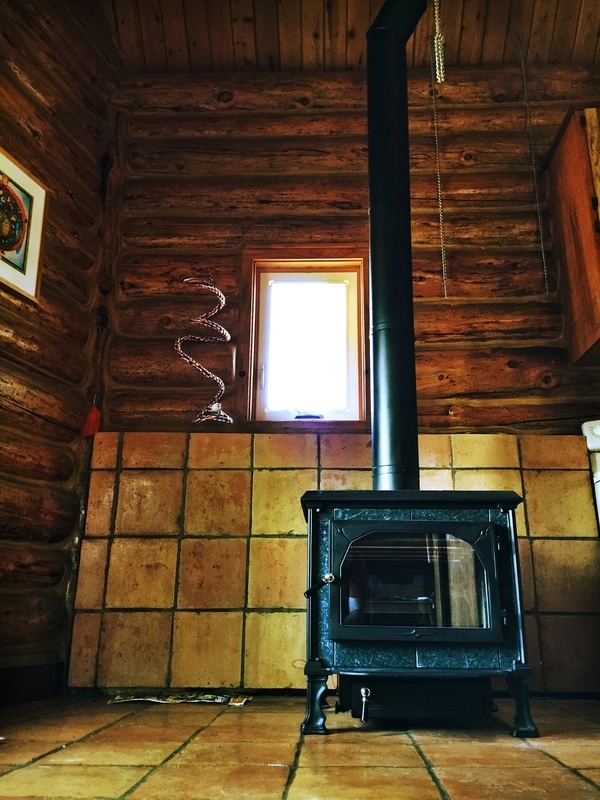 Our client in Dee, Oregon needed to update their 20 year old wood stove. They chose to go with Regency's F3500 Hybrid wood stove which gives them up to 24 hours of burn time. With it's huge firebox, this unit can heat up to 2,500 sqf.